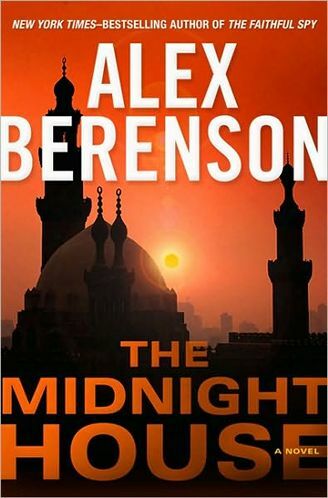 From this brief summary, readers might be suspicious that Berenson, a former New York Times correspondent who spent parts of 2003 and 2004 in Iraq covering the war and filtering his experience into his novels, is primarily interested in imaging scenarios of how America might be drawn into a major war with stateless actors or a foreign power, crises that can only be averted by the actions of super-warrior Wells, with intelligence and technological assistance from his CIA handler. At one level, they would be right. In his next novel, The Ghost War (2008) imagines a future clash with the Chinese when the abstemious head of the People’s Liberation Army attempts to engineer a limited war with America and exploit that war as a pretext for overthrowing the free market-orientated members in the Party elite so that he can redistribute the nation's wealth in a more equitable fashion. In The Right Man (2009), Islamist militants steal Russian nuclear warheads that are to be detonated in Washington during the State of the Union address that is designed to draw the US into a war with Russia. In The Secret Soldier (2009) the terrain shifts to Saudi Arabia where an Islamist terrorist group enacts a series of attacks, an assassination of a House of Saud family member, and a kidnapping of the American ambassador with the goal of inciting a war between America and the Muslim world. Wells takes on a freelance assignment in an attempt to defuse another impending catastrophe. It all sounds formulaic and predictable, since Wells survives the inevitable mayhem, sometimes against impossible odds, but it isn’t or at least it is more than that. 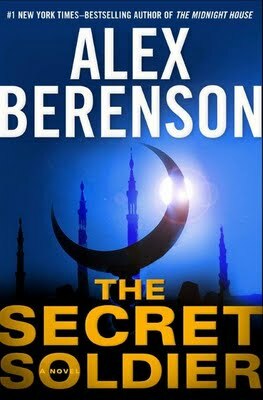 Berenson’s skills as a reporter enable him to ruminate on international politics, the soul-robbing bureaucratic rivalries in the intelligence community that can compromise its agents, third world poverty and the contrast between the simple beliefs of Islam and jihadist Islamism. He mixes fictional and real life characters and events to explore geopolitical realities and local conditions in far-flung spots. His novels also provide the reader with a greater appreciation of the limits of American involvement and the shabby moral compromises made in resolving potentially explosive situations. 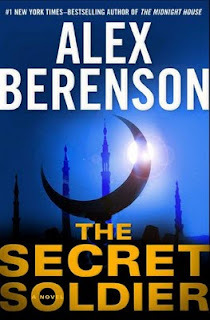 In The Secret Soldier, King Abdullah of Saudi Arabia is an important minor character and even though the palace intrigue among family members that Berenson creates is fictional, the author’s research of the country, the royal family and the disaffected groups who are sympathetic to Wahhabism—the more puritanical brand of Islam—renders the novel plausible. 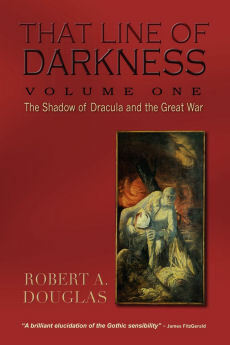 Similarly, his understanding of the United States navy and the lives of Chinese migrant workers in The Ghost War, his ability to weave the City of the Dead, that vast necropolis where tens of thousands of poor people live in Cairo into one of the plot lines in The Midnight House (2010), and his awareness of rival militias in Somalia, the politics of the international aid industry and the deployment of drones that are integrated into the most recent Wells saga, The Night Ranger (2013), elevate the John Wells spy thrillers at their best into a primer of international politics. While critiquing the Berenson novels, Showtime's television espionage thriller, Homeland came to mind. Since the first season was reviewed in Critics at Large by Susan Green, my purpose is not to assess the aesthetic strengths of this series but to compare it with the novels, particularly the motivation of some of the characters. Consider for instance, how grief, murderous rage and the need for revenge propel the actions of both the novels and the drama. In Homeland, an American Marine sergeant, Nicholas Brody, has been held as a prisoner of war in Afghanistan where he has been physically and psychologically tortured for years until he is rescued in a Delta mission. Through a series of powerful flashbacks we witness that abuse, his conversion to Islam and his entry into the household of Abu Nazir to teach his son English. A loving bond is developed between Brody and the boy that is in sharp contrast between the boy and his emotionally distant father. An American drone strike kills Afghan children, including the son of Abu Nazir. The father uses the tragedy to manipulate Brody's grief by turning him so that when he returns to America, he will take revenge for the US military drone program that has killed Afghan citizens. Whether Brody will carry out this mission creates the tension driving the first season. Whether he has abandoned this desire for revenge also animates, albeit in a more subtle way, the second season. Revenge is also one of the motifs in Berenson’s espionage novels. Shadow Patrol (2012) begins with an incident that is based on a real event from 2009, (and also woven into Kathryn Bigelows’ 2012 film Zero Dark Thirty) when a Pakistani CIA recruit killed seven high-ranking CIA agents at Camp Chapman in Afghanistan. The CIA report places the blame on the local station chiefs. Two years later when some agents are blown, the CIA in Langley begin to wonder whether there is a mole in the Afghan station feeding information to the Taliban. Without giving too much away, it is safe to say that for one individual, the grief arising from the horrific suicide bombing has turned to rage and his need for revenge that expresses itself in support for the drug trade, murder and treason. In what perhaps is the most interesting of the novels—it is both a thriller and a gripping murder mystery, and Wells in this installment is an investigator rather than an uber warrior—The Midnight House of the title is a secret interrogation site in Poland, a joint Army CIA operation established for the purpose of extracting actionable intelligence from high value detainees. Apart from applying physical pain that would leave marks, the interrogation team is free to use whatever methods they deem necessary. As one of the interrogators says, “For interrogation to succeed, detainees had to feel—not just understand but feel that they were beaten.” The team does extract information so volatile, about an assassination (that did take place in the real world) that it would never become public knowledge. (Berenson has estimated that two-thirds of this novel could be classified as nonfiction.) The experience at Midnight House for one team member was so devastating that this person underwent a breakdown and committed suicide shortly after returning to America. The principal story line begins about a year later with a series of systematic murders of individuals who participated in this operation. Again, the motive of the perpetrator is revenge born out of grief. In subsequent novels, Midnight House (it helps to read the novels in chronological order) becomes a touchstone for John Wells: after he uncovers what happened in these interrogation chambers and its shattering consequences, he acknowledges that torture was a line he could never cross. Nor could he resort to assassination. But he still carries a high price for the extensive violence that he has inflicted upon America’s enemies and the pain he has endured from gunshot wounds, biological infection and torture. The physical damage done to his body does heal but he continues to suffer from the bruising psychological effects. At the same time when he is honest with himself, he realizes that when he is on a mission he feels most alive, and whatever emotional turmoil he is undergoing must be put on hold until the mission is complete and he is back home. That includes his love relationships which he will sacrifice if it means giving up working in a field operation. Wells' need to put the mission first is in sharp contrast with the focus of the creators of Homeland who believe that dramatizing the emotional health of its central characters should consume greater energy than the politics of terrorism and counter terrorism. This is not to say that geopolitical realities and the well being of veterans in stateside are ignored. Indeed, the deployment of a drone in the first season and Israel’s bombing of five Iranian nuclear sites with American assistance in the second season, and their repercussions, are the catalysts for what follows. 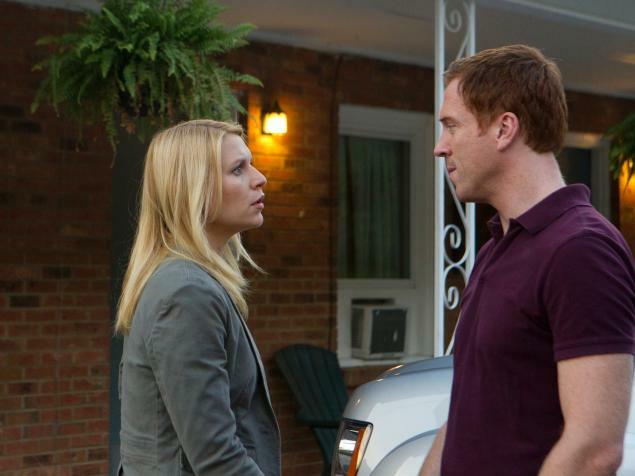 But Homeland's treatment of Middle Eastern politics is superficial and at times callous. Listen to almost every word that is emitted by the Vice President. (The President is nowhere to be seen.) Even the trauma suffered by American veterans, except for a brief speech delivered by Brody’s wife, Jessica, is slighted except when it dwells on Brody himself. 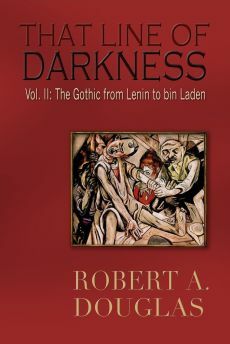 There is little in the series that explores, as Berenson does, the frustration of returning veterans at the indifference of the American public. A veteran will be called a hero, people will offer to buy him a beer but their eyes will glaze over if he attempts to talk honestly about his experience. 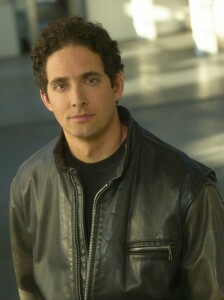 Instead, the producers of this show decided that their audience could be best engaged by concentrating upon character and personal relationships. When veterans do gather together, their conversation is mostly about Brody. And Brody is compelling as we witness the fallout of the conflicting demands that are placed on him. It is no wonder that he comes close to experiencing a catatonic breakdown. In this way, Brody is a mirror image to his bête noir/love interest, Carrie Matheson, the bipolar, extraordinarily intuitive CIA operative in Counter Intelligence. She suspects almost from the beginning that Brody is jihadist sleeper and that he could commit a major terrorist attack at any time. But hardly anyone believes her and by the end of the first season, she is being subjected to horrific shock treatments after her psychological meltdown. In the second season, she appears to have been vindicated in her suspicions, but her relationship with Brody oscillates between being his enemy and his lover. Their scenes together are riveting (if sometimes a tad implausible) and therein resides the conundrum of the series. Although billed as a realistic espionage thriller, it feels more like a psychological drama that is essentially apolitical. We are far more invested in their emotional lives and their relationship than the larger issues that are briefly referenced. It is not as though television dramas cannot explore geopolitical conditions. Britain’s MI5 was a powerful series in which the threats to national and international security always took priority over personal relationships. To derive the most satisfaction, it helped if the viewer was reasonably informed about global politics. I will continue to watch Homeland as I find its characters fascinating and the drama addictive but I will not be looking for insights into the American security state or specific international tensions. For that I await the next John Wells thriller that deals with Iran.